Most folks in their late 70s play bingo and complain that their kids never call. At 77, not only does Ridley Scott refuse to retire, but also he continues to maintain true cultural relevance. While it seems unlikely Scott will produce another film as influential/durable as either 1979’s Alien or 1982’s Blade Runner, that doesn’t mean the old man has slid toward obscurity. Indeed, the opposite seems true, as 2015’s The Martian became Scott’s highest-grossing film ever. In 2035, a manned mission to Mars encounters an emergency when an unexpected sandstorm hits the team. 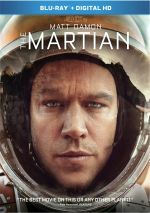 All of the astronauts make it back to their ship – except for Mark Watney (Matt Damon), a botanist who gets hit by part of an antenna and dies. Unable to retrieve his body due to the emergency, the team leaves without him. Except Watney isn’t dead. The botanist remains alive and needs to rely on all his skills to stay that way until another team can rescue him. As Watney uses his talents to farm food on a desolate planet, NASA works overtime to figure out how to bring him home. 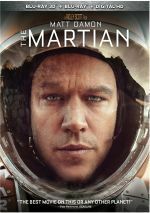 Not only does Martian present Ridley Scott’s most successful movie since 2000’s Gladiator, but also it offers almost certainly his most entertaining movie over that time frame. I have to say “almost” simply because I’ve not seen all of Scott’s 21st century films – I missed a couple such as Exodus: Gods and Men and A Good Year. That forces the caveat into my comments, but I remain pretty sure that I like Martian more than I’d enjoy those movies I skipped. I know for certain that Martian easily tops disappointments like Prometheus and bombs like The Counselor. From beginning to end, Martian offers a lively, entertaining and involving tale. But – and you knew there was a “but” on the horizon – this doesn’t make Martian a great piece of work, partially because the fun and excitement come with a price. The characters and story seem awfully superficial, especially in terms of Watney. He remains so glib and chipper throughout his ordeal that the result becomes impossible to believe – Watney shows almost no signs of the psychological damage that would inevitably ensue from such an extended period of isolation. Much of this comes out through the film’s humor. Martian pours on wisecracks and jokes, and these seem fine to a degree. However, they pop up too often and the movie never balances them with any attempt to show how that isolation would negatively impact the character. Watney feels like a guy who gets a “bachelor’s weekend” to himself with the wife out of town, not a man desperate for survival. I think Martian seems rather derivative as well. Essentially it exists as a combination of Cast Away and Apollo 13, though without the psychological depth of either film. As we watch Cast Away and/or Apollo 13, we experience real tension. We fear for the characters and worry about their fates – even though we know a) the Apollo astronauts survive and b) Tom Hanks will be rescued, we remain invested in their journeys. This seems less true for Watney – again, due to the perky ‘n’ bubbly treatment of his experiences. I don’t blame Damon, as the actor does his damnedest to add depth to the role – whatever nuances exist in Watney come straight from Damon. It’s the script that lets down the character, as it never allows Watney to develop into anything more than “MacGyver on Mars”. The remaining actors do fine in their even-more-underwritten parts – except perhaps for Jeff Daniels as NASA Director Teddy Sanders. While I don’t think Daniels offers poor work, he seems to channel his semi-sanctimonious lead character from The Newsroom too much of the time, and this leaves his performance as one that feels “off” to me. I don’t dislike the character but I just don’t buy Daniels as the head of NASA. I don’t want to be too critical of The Martian, for I really do enjoy it. The movie moves at a fine pace and provides a lot of excitement along the way. It suffers from few lulls and keeps us entertained across its 141 minutes. I simply think it could – and should – have been meatier than it is. The Martian offers a solid popcorn movie that might’ve stuck with me more if it managed additional meaning and depth. The Martian appears in an aspect ratio of approximately 2.40:1 on this Blu-ray Disc. The image consistently looked strong. I noticed no obvious issues with sharpness. From start to finish, the movie offered nice clarity and definition. Some video screens showed a smidgen of shimmering, but those were minor, and I saw no jaggies or edge haloes. Print flaws failed to mar the presentation. I thought Martian went with a standard teal and orange palette, but at least the orange made sense, given the Martian setting. The hues displayed appropriate clarity and vivacity. Blacks seemed dense and dark, while low-light shots boasted nice smoothness and delineation. This ended up as an impressive transfer. Not to be outdone, the film’s DTS-HD MA 7.1 soundtrack fared very well. When the movie stayed with general atmosphere, it felt convincing and immersive, and the chances for greater life blossomed in a satisfying manner. From the sandstorm that injured Watney to various space elements to other threatening aspects of Martian life, the soundfield used all the channels in an engaging, engrossing manner. Audio quality succeeded. Speech remained distinctive and concise, without edginess or other issues. Music showed nice range and warmth, while effects appeared dynamic and full. We got good low-end response and nary a hint of distortion. I thought the audio added a lot to the experience. A collection of video clips fill out the disc, and the first two look at the production itself. We find Signal Acquired: Writing and Directing (9:36) and Occupy Mars: Casting and Costumes (14:13). Across these, we hear from director Ridley Scott, author Andy Weir, producers Simon Kinberg and Aditya Sood, executive producer Mark Huffam, NASA Planetary Science Division director James L. Green, costume designer Janty Yates, stunt performer Will Willougby, and actors Matt Damon, Chiwetel Ojiofor, Jessica Chastain, Michael Pena, Kate Mara, Jeff Daniels, Kristen Wiig, Sean Bean, Sebastian Stan and Aksel Hennie. As indicated by their titles, the featurettes examine the source novel and its adaptation, story/character areas, what Scott brought to the film, cast, performances, and costumes. The cast parts seem the least interesting of the bunch, but the rest of the moments work well. I especially like Weir’s discussion of his goals for the novel; I’m still not wild about the story’s perky tone, at least I better understand his rationale. A Gag Reel lasts seven minutes, 33 seconds. It shows the usual assortment of mistakes and silliness. Nothing especially interesting emerges. Ares III: Refocused goes for 17 minutes, 18 seconds and provides an epilogue of sorts. 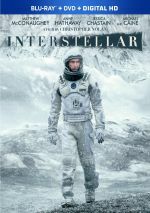 Set seven years after the movie’s events, it includes Teddy Sanders (Jeff Daniels), Vincent Kapoor (Chiwetel Ojiofor) and Mitch Henderson (Sean Bean) as they participate in a TV documentary about NASA events unknown to the public. It’s interesting to see as a curiosity, though it doesn’t tell us a lot we don’t already learn in the film. The next few features offer “theatrical in-world pieces” with the movie’s fictional characters. We find Ares III: Farewell (3:35), The Right Stuff (3:20), Ares: Our Greatest Adventure (3:39), Leave Your Mark (1:03) and Bring Him Home (1:34). These provide promotional pieces in which we see some aspects of the movie’s characters/situations. They feel a little like deleted scenes; none of them provide substantial information, but they’re enjoyable. They actually add a little depth to some of the topics, so they might be worth a look before you watch the movie. In addition to the film’s trailer, we locate a Production Art Gallery. It breaks into “Earth” (8 images), “Hermes” (74) and “Mars” (124). These add up to an interesting collection of materials. At its heart, The Martian offers a lively tale of survival amidst difficult odds. I wish the film provided more meaning and depth, but I still think it gives us an entertaining adventure. The Blu-ray boasts excellent picture and audio as well as a decent batch of bonus materials. The Martian becomes a fun flick.